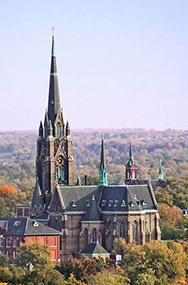 HERE ARE PHOTOS of Saint John the Baptist Church, in Saint Louis, Missouri, located about six road miles southwest of downtown. 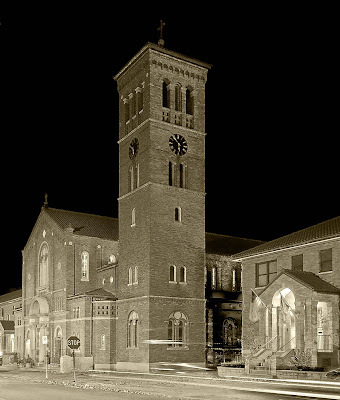 The exterior of the church at night; the church dates from 1925 and is the Italianate style. You can see blurry streaks left by cars moving during the exposure. 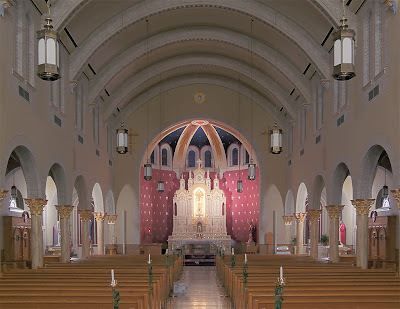 The interior of the church has just been renovated, and I thank Fr. Rice for taking the time to show me around. Many details have been restored to their original condition, especially on the columns and arches. Click here for pre-renovation photos. 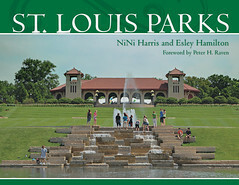 Click here for a photo taken during the renovation. I took these photos just before a wedding, and you can see blurry images of people who were moving around. 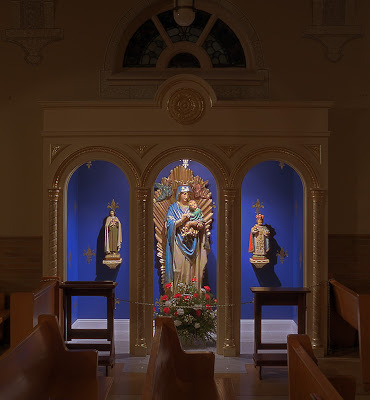 The renovation was done by Max Autenrieb Church Interior Decorating, who patterned the painting here in the apse after their work at the sacristy of Saint Francis de Sales Oratory. 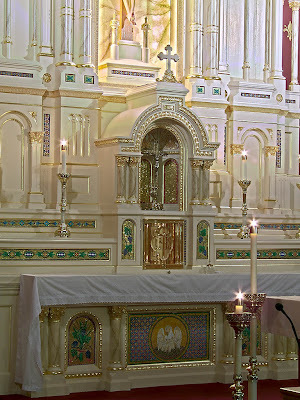 Detail of the altar, which was also renovated. 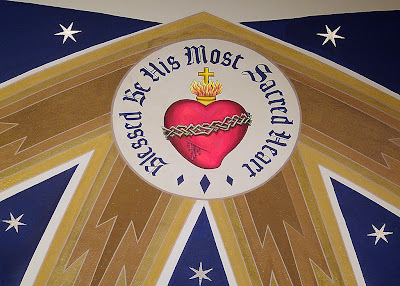 A glorious dome of stars overhead, with rays of love pouring from the Sacred Heart. 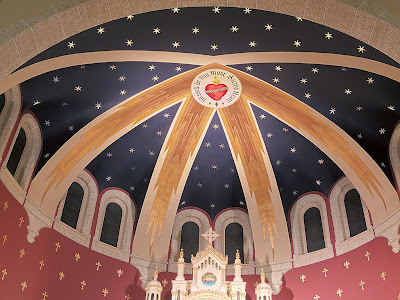 The spotlights illuminating the Sacred Heart were installed on the very day of these photos. There is still some renovation work being done in the church. 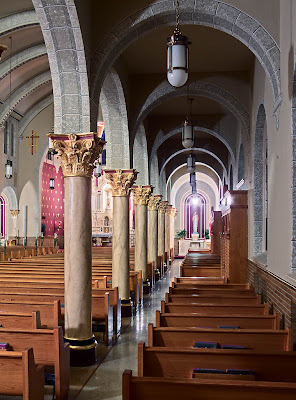 A view down the side-aisle to the altar of Saint Joseph. Note the gilding on the column capitals and stonework details on the arches. 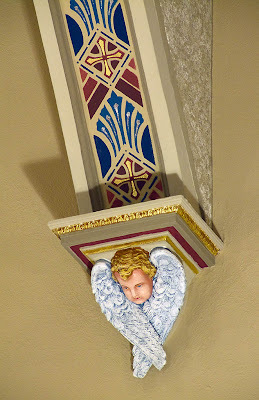 Detail on a ceiling arch. 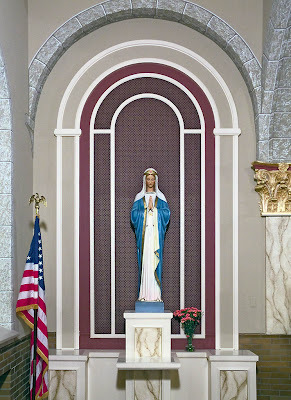 This shrine to the Blessed Virgin Mary is new, and will be blessed by Archbishop Burke on December 2nd, 2007. 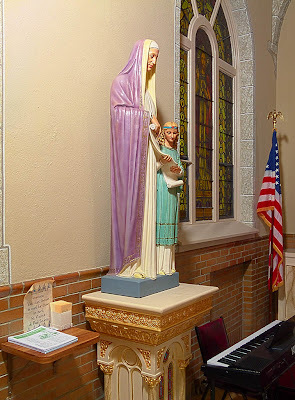 Here are also statues of Saint Thérèse of Lisieux and the Infant Jesus of Prague. 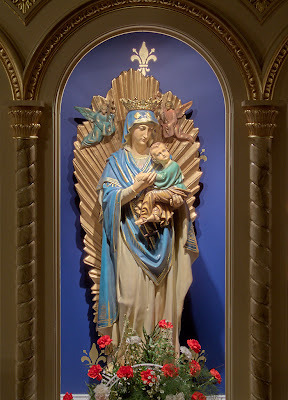 Saint Anne, next to a window of the Sacred Heart of Jesus. 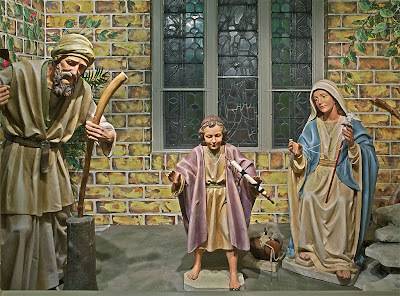 A charming rendition of the Holy Family. I've copied one of your photos to promote your blog (and photos!) from our site. Let me know if that's a problem and I'll be more than happy to take it down. Thanks! That is fine. 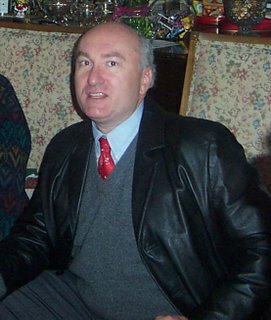 Thanks for the comments and encouragement, and may your apostolate be blessed. Thanks, Mark. 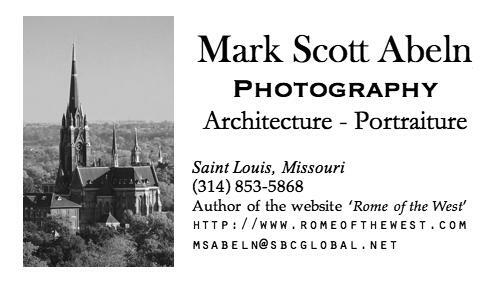 Great job, great parish, great priests, and...great photographer who brings us on an armchair pilgrimage to many churches we might never be able to see otherwise. I enjoy the vertical element to the nave. Your eye seems to flow forward and up, perfectly attuned to the proper celebration of the Liturgy. the interesting faux stone painting on the arches must be enjoyable in person. This is a very nicely accomplished renovation. 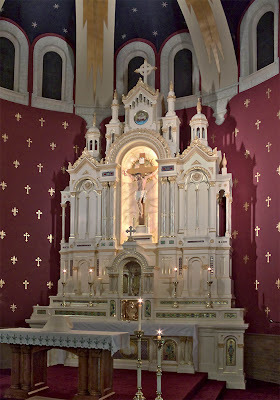 Craig, the Sacred Heart above the altar really catches the eye.